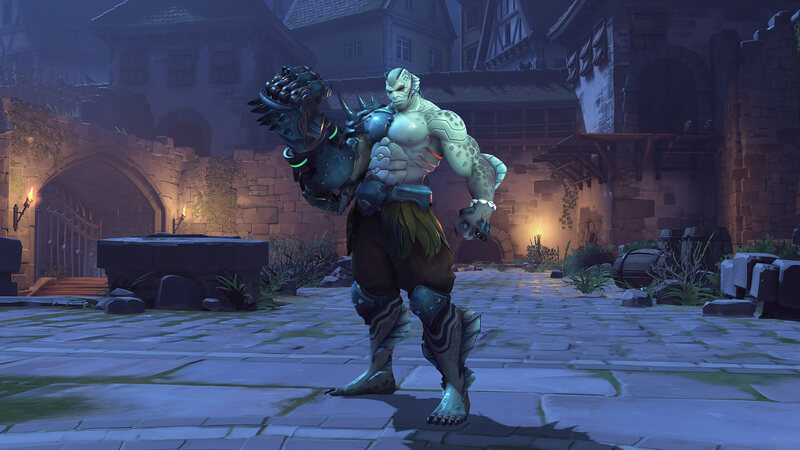 ‘Tis the season to be spooky (mwa-ha-ha-ha-ha, wa-ha-ha-ha) and don we now our ghoul apparel in Overwatch, as its annual Halloween event has returned with more PvE action and more new spooky costumes. It’s not all seasonal, mind, as last night’s update also launched the reworked Torbjörn with his new abilities, tweaked a few other heroes including Pharah, remixed the sound, and whacked in new colourblind options too. The cooperative Junkenstein’s Revenge four-player mode returns in much the same shape, still having select heroes battling against waves of spookies. This year, Brigitte and Tracer are added to the pool of playable ghostbusters. But oh me oh my, the new Halloween costumes added to the new Halloween Loot Boxes (which can be earned by playing or bought for real cash) are fancy. See the event page for the full lineup, as well as the spooky highlight intros and emotes. Players have spotted some real nice touches on the skins, such as Wrecking Ball’s miniguns ejecting chewing gum instead of empty casings, and Pharah’s ghostly animate armour collapsing when she dies. The Halloween Terror event will run until October 31st. Parts of yesterday’s update will last a lot longer. Barfpörn’s rework is now live, replacing lots of the notdwarf’s abilities. His gun is buffed, his turret is now permanently at level 2 and builds automatically, his Armour Pack skill is removed and replaced with a weaker version of his old ultimate skill, and his new ultimate skill spews blobs of molten slag to burn baddies and block off areas. Pharah gets notably retouched too, with her rocket launcher changed to fire faster, deal less splash damage, deal more direct damage, and have less knockback. “The overall damage potential is now increased when landing direct hits,” Blizard say, but you’ll need to aim true. Some players have not been best pleased with this change. A number of other heroes were tweaked too, such as McCree getting a shorter cooldown on Combat Roll. See the patch notes for more details on everything. The new colourblind options sound good and all. Okay, that’s enough from me, going on, get outta here and get spookin’.